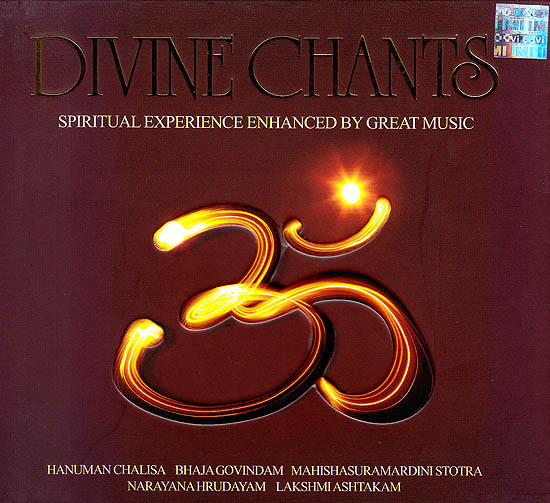 Divine chants is a collection of the most sacred Hindu mantras set in a grand musical extravaganza. This album boasts of a lavish musical production using a wide range of traditional instruments like the Violin, Sitar, Flute, Sarod & Veena as well as modern instruments like the keyboards & drums crafting a fusion of sounds. These chants are melodiously rendered by female voices. The authentic diction along with grandeur of harmonious voices provides this album with a refreshing new sound to create a powerful aura of divinity and thus enhancing the overall spiritual experience.